The interpretation of geological observations can be difficult. It is unlike any biological, physical or chemical experiment in the laboratory, which is usually more straightforward. In geology, fieldwork involves observations of structure, rock type and fossils, etc. But no one can run an experiment to observe how these particular features were formed. The data must be interpreted, and interpretations are based on the framework of one’s worldview or beliefs about the past. But regardless of worldview, seemingly straightforward geological deductions can still be wrong; further data may bring to light an alternative explanatory mechanism. Such an explanatory switch recently occurred in interpreting the geological structure of Box Canyon, cut into the Snake River Basalt in south central Idaho.1 The Canyon has vertical walls 35 m high, 2.68 km long and 120 m wide, with a sinuous longitudinal profile that opens up into the Snake River Canyon. 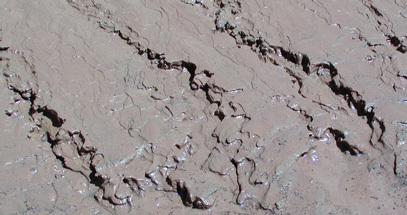 Box Canyon has been explained by sapping erosion, where water seeping horizontally out of a permeable layer erodes the basalt above, causing blocks of this harder layer to tumble down. Such a process occurring over a considerable period of time results in an amphitheater-headed canyon. In fact, such box canyons have been considered as a diagnostic tool for determining erosion by sapping, especially on the Colorado Plateau. It now appears that Box Canyon was carved by a sudden surface flow of water, likely a megaflood during the melting in the Ice Age. The discovery that talus is scarce near the head of the canyon—unusual for a sapping mechanism. Three concentric semicircles of boulders within the canyon head appear to be waterfall plunge pools. There is evidence of water overspill at the headwall rim. Scoured rock extends at least 1 km down-canyon, indicating a large flow of water toward the Snake River. The large spring apparently is not causing any sapping erosion at present. The evidence seems straightforward, and indicates that sapping was not the cause of the erosion of Box Canyon. Box Canyon likely was formed by surface erosion, possibly by a receding waterfall during a megaflood, migrating toward the northeast from Snake River. The source for the flood was either from the Little or Big Wood Rivers to the north or the Big Lost River to the northeast. These rivers would have been much larger during the Ice Age, and catastrophic breaching of lakes blocked by ice could have caused the megaflood. The authors of the new interpretation on Box Canyon, Idaho, call into question the origin of other amphitheater-headed canyons on Earth and Mars.6 Even the amphitheatre-headed canyons of the Colorado Plateau and Hawaii, often cited as classic examples of sapping in bedrock, have been questioned because of evidence for flash floods and plungepool erosion.2,7 There are hundreds of springs that could cause alcoves or amphitheaters but do not, indicating the ineffectiveness of sapping erosion. Instead, the authors believe that surface flow can explain many, if not all, of the canyons attributed to sapping. One of the contributors to the new research is Alan Howard, who was one of the prime contributors to the earlier sapping erosion model. It does not surprise creationists that current rates of sapping cannot excavate a vertical-walled, amphitheater-headed canyon and transport all the fallen boulders out of the canyon, such as is observed on the Colorado Plateau. Researchers previously believed Box Canyon was formed by sapping erosion, but now believe it to be the result of a megaflood. 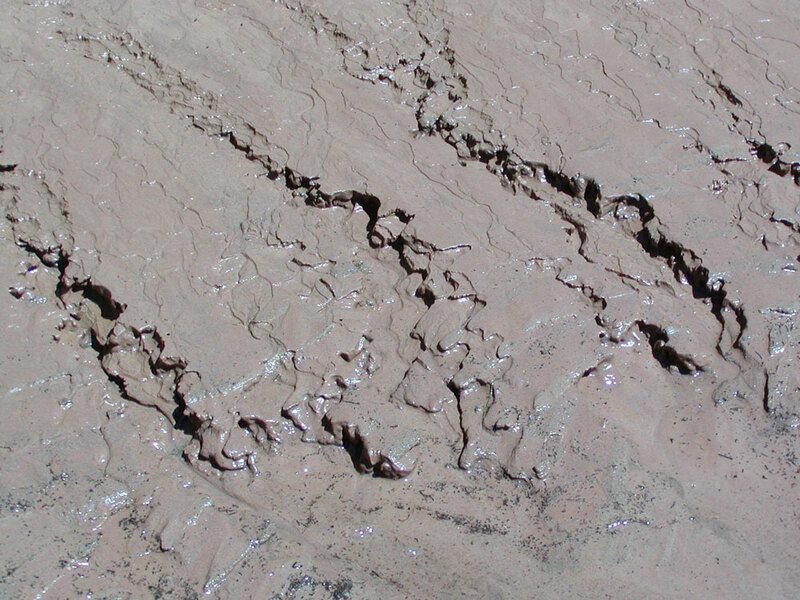 Lamb and colleagues state that other classic examples of sapping erosion, such as on the Colorado Plateau and on Mars, were likely eroded by surface water flow with sapping erosion being minor. It has been assumed by dam-breach advocates that the greater amount of water in the sediments after the formation of Grand Canyon several hundred years after the Flood would cause greater sapping erosion. This is likely true, but probably has been overemphasized, since many large springs today do not seem to be causing sapping erosion. So the dam-breach explanation for side canyons to the Grand Canyon and other canyons on the Colorado Plateau does not seem likely. Besides, the dam-breach hypothesis itself is unlikely.16 Grand Canyon and many other vertical-walled canyons, assumed to have formed by sapping, were probably partially carved during late Flood channelized erosion that carved Grand Canyon.17 Post-Flood flash flooding could have extended the canyons formed during the late Flood channelized erosion, and either emphasized or produced the amphitheater shape of the headwalls. Lamb, M.P., Dietrich, W.E., Aciego, S.M., DePaolo, D.J. and Manga, M., Formation of Box Canyon, Idaho, by megaflood: implication for seepage erosion on Earth and Mars, Science 320:1067–1070, 2008. Return to text. Lamb, M.P., Howard, AD, Johnson, J., Whipple, K.X., Dietrich, W.E. and Perron, J.T., Can springs cut canyons into rock? Journal of Geophysical Research 111:1–18, 2006, E07002, doi:10.1029/2005JE002663. Return to text. Lamb et al., ref. 2, p. 15. Return to text. O’Connor, J.E., Hydrology, hydraulics, and geomorphology of the Bonneville Flood, Geological Society of America, Boulder, CO, GSA Special Paper 274, 1993. Return to text. Cerling, T.E., Preda, R.J. and Rathburn, S.L., Cosmogenic 3He and 21Ne age of the Big Lost River flood, Snake River Plain, Idaho, Geology 22:227–230, 1994. Return to text. Lamb et al., Ref. 1, p. 1067. Return to text. Lamb, M.P., Howard, AD, Dietrich, W.E. and Perron, J.T., Formation of amphitheatre-headed valleys by waterfall erosion after large-scale slumping on Hawai’i, GSA Bulletin 119:805–822, 2007. Return to text. Howard, AD, Kochel, R.C. and Holt, H.E., Sapping features on the Colorado Plateau: a comparative planetary geology field guide, NASA, Washington, D.C., 1988. Return to text. Laity, J.E. and Malin, M.C., Sapping processes and the development of theater-headed valley networks on the Colorado Plateau, GSA Bulletin 96:203–217, 1985. Return to text. Lamb et al., ref. 2, p. 14. Return to text. Lamb et al., ref. 2, pp. 2–3. Return to text. Lamb et al., ref. 2, p. 4. Return to text. Austin, S.A., How was Grand Canyon eroded? in: Austin, S.A. (Ed. 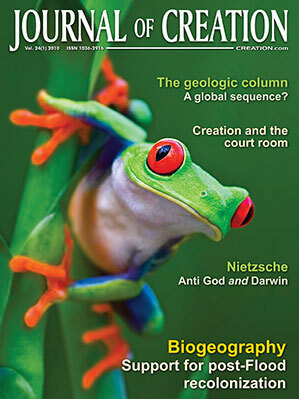 ), Grand Canyon—Monument to Catastrophe, Institute for Creation Research, Dalles, TX, pp. 83–110, 1994. Return to text. 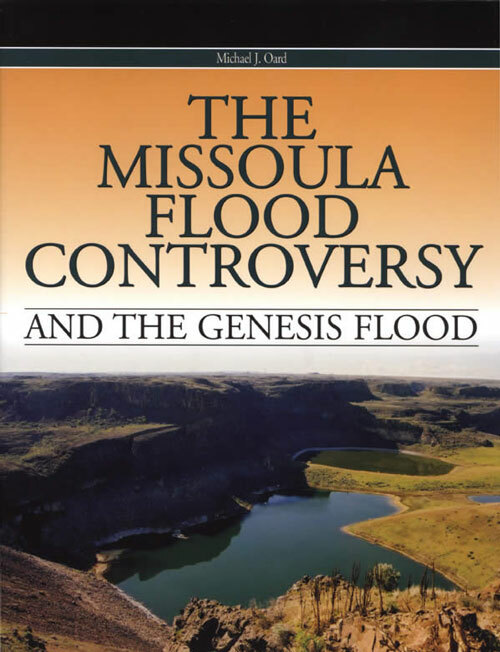 Brown, W., In the Beginning: Compelling Evidence for Creation and the Flood, 8th ed., Center for Scientific Creation, Phoenix, AZ, 2008. Return to text. 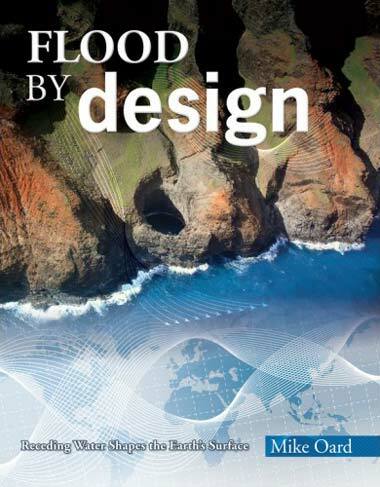 Oard, M.J., Flood by Design: Receding Water Shapes the Earth’s Surface, Master books, Green Forest, AR, pp. 102–106, 2008. Return to text. Oard, M.J., The origin of Grand Canyon, Part II: Fatal problems with the dam-breach hypothesis, Creation Research Society Quarterly (in press). Return to text. Oard, M.J., The origin of Grand Canyon, Part V: Carved by late Flood channelized erosion, Creation Research Society Quarterly (in press). Return to text.